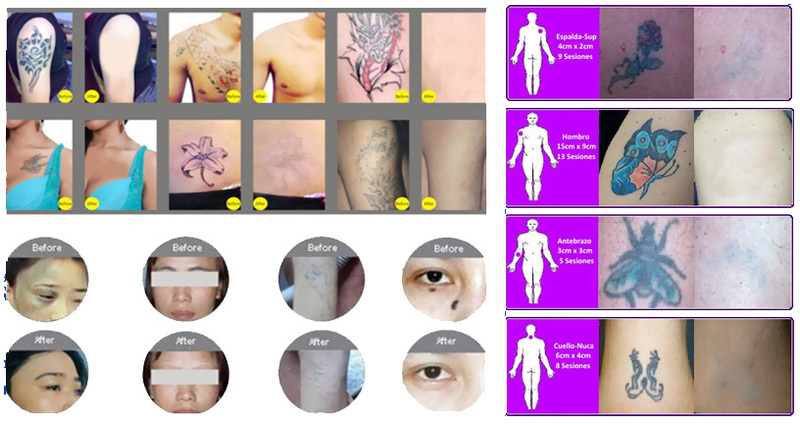 For skin toning by treatment of pigmented lesions and tattoo removal. 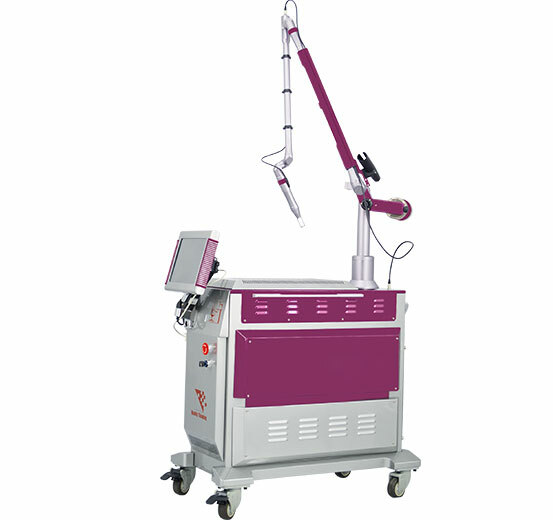 Q-Switched ND YAG Laser is proven to be the most effective way to remove pigmented lesions and tattoos, which emits light in a particular way in short and sharp pulses to break down the pigments of pigmented lesions and tattoos. 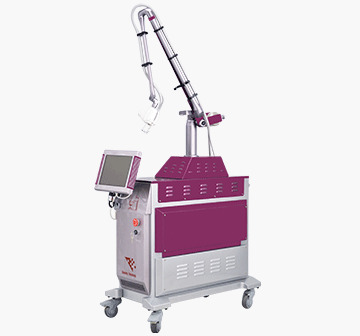 The Q-switched ND:Yag laser delivers light of specific wavelength in high peak energy pulse, hence the light penetrates into the tissue only for a nanosecond. 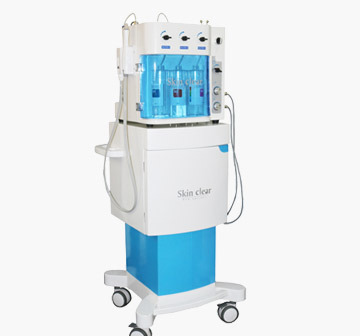 The light is absorbed by the pigmentation and results in an instantaneous blast that is light blasting principle. The pigmentation particles are shattered into fragments, some can be bounced out of the skin and others can be split into tiny particles that can be engulfed by phagocytes and then eliminated by the lymphatic system. This light energy is measured in nanometres (nm) and is emitted at frequency of 532nm or 1064 nm. The 1064nm is for treatment of blue or black ink pigment in the skin, this tip is slightly shorter and has around mirror inside. The 532nm tip is for treatment of red and brown pigment in the skin, ND YAG is a type of Q-switched laser which works best on red, blue and black pigments. 1. 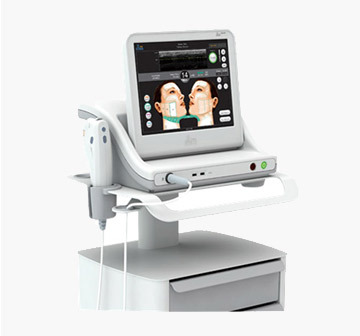 "Top Hat" beam profile advantage: Enhanced treatment safety and efficacy by homogeneous distribution of energy; "Top Hat" beam profile minimizes epidermal damage; Tissue textural changes and the occurrence of scarring; A lack of an homogenizer might result in hot spots within the beam and increased risk of scarring. 2. Imported South Korea 7 joints arm: rate of energy loss < 13%. 3. 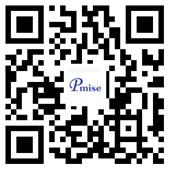 Alarm protection system of water of flow and water temperature, protect people and machine against any risk at the first time.